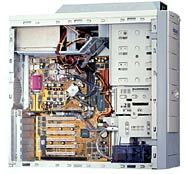 JCM Solutions offers many services you may need to repair or replace you computer equipment. With reasonable rates and name brand components, you are assured that down time is minimized. We also offer Maintenance plans to suit most small to medium sized businesses. They include regular and required repairs to your critical business systems. Hardware component repair and/or replacement. Installation and maintenance of Windows Servers. Virus clean-up and Anti-virus installation and deployment.